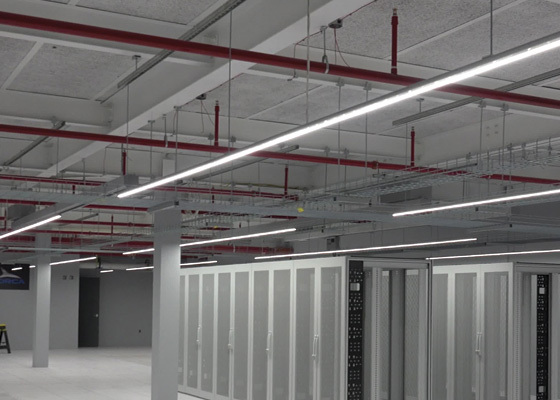 To achieve low bay aisle lighting in a data center, Airelight™ Linears were linked together and magnetically attached to Unistrut® channel to create custom pendants. 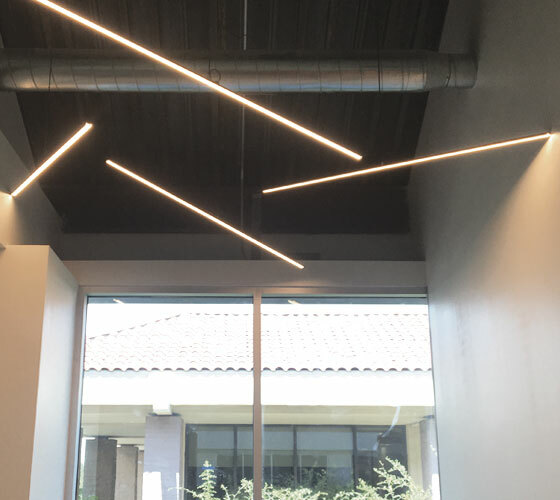 The Airelight™ Linears provide a highly uniform distribution of light throughout the space. Airelight™ LED Ceramic Luminaires offer a low voltage DC lighting solution that substantially reduces the building's energy use over conventional lighting fixtures. At this data center, energy reduction techniques are a top priority. 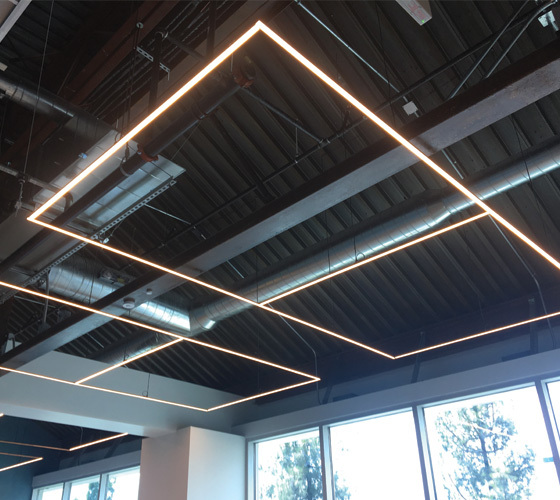 Installing Airelight™ Luminaires helps reduce unnecessary power consumption while giving the lighting a custom, sleek, industrial look. 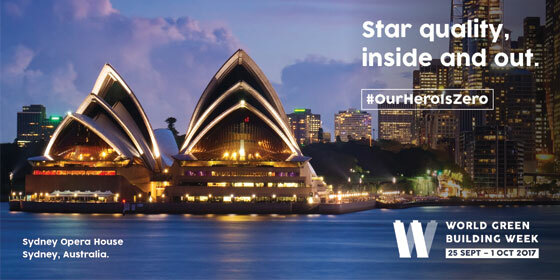 The ability of Airelight™ Luminaires to be directly embedded into any building material allows for a wide variety of potential applications. One east coast bar utilized this feature to integrate lighting directly into its bar shelf. 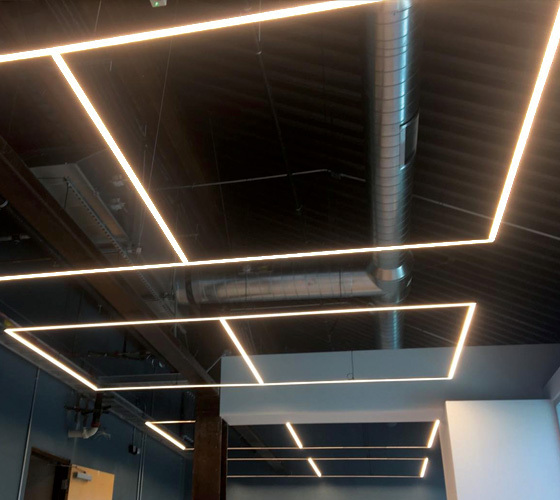 While conventional lighting may reach temperatures that inhibit direct contact with wood, Airelight™ Luminaires dissipate heat through the ceramic light emitting surface making this concern a non-issue. 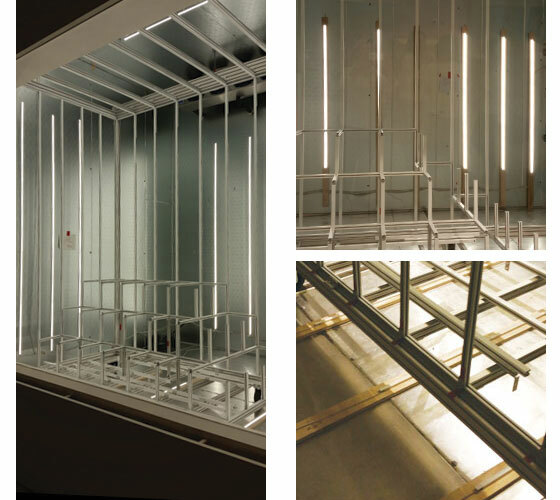 Measuring just 1/4 of an inch thin, the profile of Airelight™ Linears require minimal material removal to accommodate them in an embedding project. 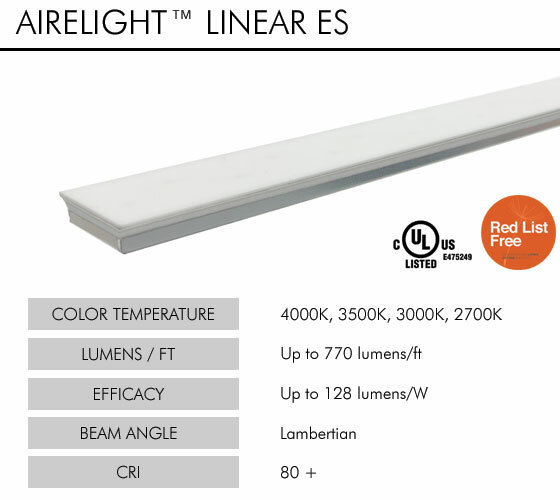 The sleek design of the Airelight™ Linear lends itself to a beautifully smooth finish. The photos below illustrate how the light emitting ceramic of the Airelight™ Linear lays perfectly flush with the wood shelf.